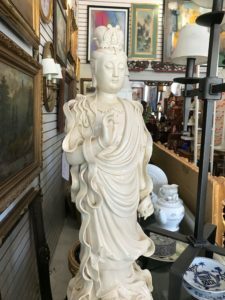 Sarasota, Florida – Local businessman and longtime resident Andrew Ford and his wife, Elizabeth Lathrop Ford, owners of Ford Art and Antiques, have opened Sarasota Estate Auction. The high-end online live auction house, open to the public, is located on the corner of University and Lockwood Ridge Road, at 6030 N. Lockwood Ridge Road in Sarasota. The 7,000-square-foot auction house, with seating for up to 100 people, features simulcast auctions where live in-house bidders compete against online bidders who have either placed previous bids, known as left bids, or are bidding online in real time. “We have been selling items at auction through arrangements with other auctioneers,” said Andrew Ford. “After 20 years in the business, we felt it was time to start our own.” The Fords have an international clientele, selling items at auction to connoisseurs, collectors and dealers in 14 countries around the globe. The company’s first auction will be held Saturday, July 26, at 3 p.m. Cash, checks, wire transfers and credit cards are accepted. A preview party, open to the public, will be held from noon to 3 p.m. prior to the auction. Refreshments, sandwiches and an open bar will be served starting promptly at noon. Ford’s former gallery at 400 Madison Drive, St. Armand’s Circle, featured notable artists with Sarasota ties such as Syd Solomon, Hilton Leech, Julio De Diego, Emile Gruppe, William Henry, Jon Corbino, and many others. A fixture at nearly every leading art and antique show in the country, Ford’s many venues include Palm Beach Jewelry Art and Antique Show, The Original Miami Beach Antique Show, Naples Art and Antique Show, Baltimore Summer Antique Show, East Hampton, New York, New York Antique Week, and many more. 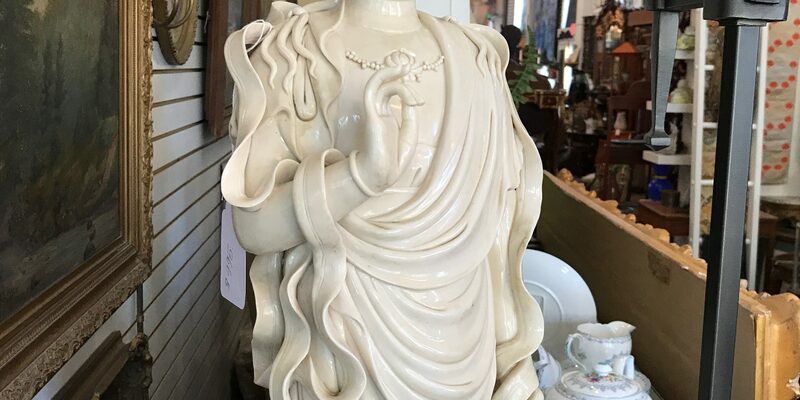 The Fords’ fine art gallery, Ford Art and Antiques at 136 South Pineapple Avenue in downtown Sarasota, specializes in 18th, 19th and 20th century fine art, French Empire antiques and accessories. There you can find Old Master paintings, Hudson River Landscapes, Asian porcelains, fine bronzes, silver, sculpture and fine furniture. Additionally, in 2013, Ford Art and Antiques expanded by leasing a large space just down the street at 522 South Pineapple Avenue at the Sarasota Trading Company, which features more mid-century modern furniture and paintings. Ford plans to announce a third gallery on South Pineapple Avenue specializing in modern and classic design, opening later this summer.